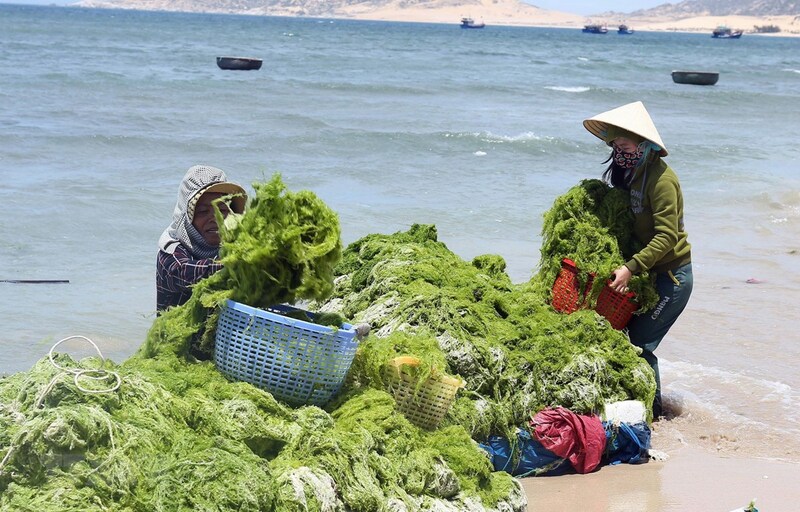 Sea-based economic sectors contribute 10 percent of Vietnam’s gross domestic product (GDP), according to the Ministry of Natural Resources and Environment. The ministry held a meeting in Hanoi on March 26 to review a master plan on surveying and managing marine resources and environment. Minister Tran Hong Ha said the 28 coastal provinces and cities make up 65 – 70 percent of the country’s GDP. Their human development index is higher than Vietnam’s average figure, while per capita income in coastal regions is at least 1.2 times higher than the national average. Ta Dinh Thi, General Director of the ministry’s Vietnam Administration of Seas and Islands, said by the end of 2018, the country had drawn a map of about 53 percent of its sea area at the scale of 1/200,000. It had also completed surveying seabed terrain for 24.5 percent of the total sea area at the scale of between 1/500,000 and 1/50,000. Vietnam has also mastered offshore oil and gas exploration technologies, he noted. The ministry aims to survey marine resources and environment in 50 percent of Vietnam’s sea area at the scale of 1/500,000 and at a bigger scale in some key areas in the time ahead. A pollution risk map for inshore zones at the minimum scale of 1/500,000 will also be charted.